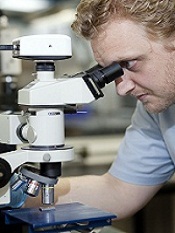 Teer Coatings Ltd » Thin Film Coatings » UK | Testing Services . Teer Coatings Ltd offer an in-house testing service for all coating analysis requirements, with a full range of equipment available for testing. Prices are charged on an hourly, daily or sample basis depending upon use and availability. 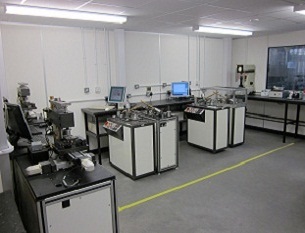 The coatings testing department at Teer Coatings Ltd has the following equipment available for use. Pin on disc testing: various counterparts, wear track diameters 4 to 14mm, load 5 to 100N, speed 10 to 900rpm. Reciprocating wear testing: multipass unidirectional or bi-directional wear testing under constant load, various counterpart sizes and materials, load 1 to 200N, speed 5 to 400mm/minute. Scratch adhesion testing: either single pass scratch test under continuous progressive load or under constant load, Rockwell C diamond, load 5 to 200N, speed 5 to 400mm/minute. Rockwell adhesion testing: 0.2mm tip radius Rockwell indentor, 150kg load, to give comparative results from HF1 to HF6. Optical microscopy: 50 to 1000x magnification, with image analysis software. Fischerscope hardness: dynamic hardness testing suitable for testing of thin coatings, Vickers diamond indentor, 20 to 1000mN. Rockwell hardness: static hardness testing on bulk materials, 0.2mm tip radius Rockwell diamond or ball indentor, load 10 to 150Kg, scales A to K.
Microhardness: static hardness testing, Vickers and Knoop diamond inventors, 10g to 1Kg. Macrohardness: static hardness testing, Vickers diamond inventor, 0.3 to 20Kg. Haas vertical machining centre available to test a wide range of coatings against various work piece materials, under dry or lubricated conditions.